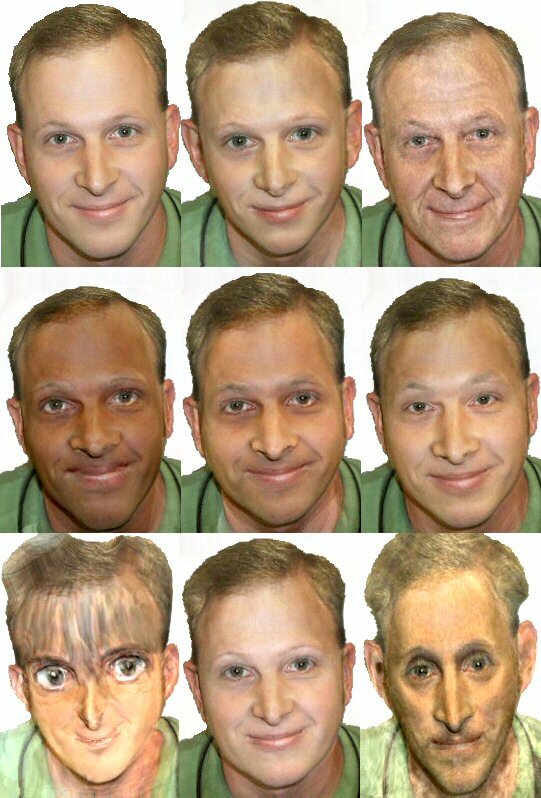 I found a really cool tool called Face Transformer. It's really funny to look at how they've transformed me into various other people. The young and old look really realistic. I hope I look this good when I'm old, but I guarantee you I will not have as much hair unless I get a wig. The feminine one makes me look like a lesbian! Interesting. 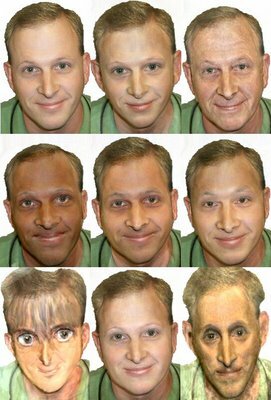 You created an image for the text of the various face descriptions and used the background color of your blog in the image? Am I close? Yeah, you're right. I did it because I was having trouble with the formatting blogger was imposing. So I kind of forced it with the image.